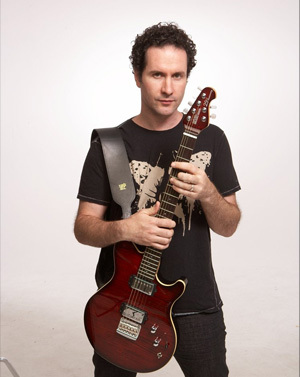 Blues Saraceno received his first record deal at the tender age of 16 with "Guitar for The Practicing Musician." The first record is called "Never Look Back". He then recorded "Plaid" and "Hairpick" for " Guitar For The Practicing Musician" as well (All of them before the age of twenty). All three were instrumental albums that sold well over 100,000 copies. He went on to play with Michael Bolton, Taylor Dayne, Cher, and at the age of seventeen began to tour the world several times over with Jack Bruce and Ginger Baker of "Cream" filling the guitar slot that was originally held by Eric Clapton. He recorded "Crack a Smile" with the band POISON, their last album for Capitol Records. The list of session work he has done spans the last twenty years and is much too long and varied for this brief Bio. Artists have ranged from "Ziggy Marley" (Dragonfly) to "Melissa Etheridge" (Lucky). He has earned a reputation as being a "go-to guy" for many of Los Angeles top record producers and engineers.